“Welcome to Vietnam,” says the khaki-uniformed soldier with a broad smile, while he casually shifts his slim black rifle from one shoulder to the other. He must have clocked the camera around Andrew’s neck and assumed we’re tourists, which I suppose we are now. 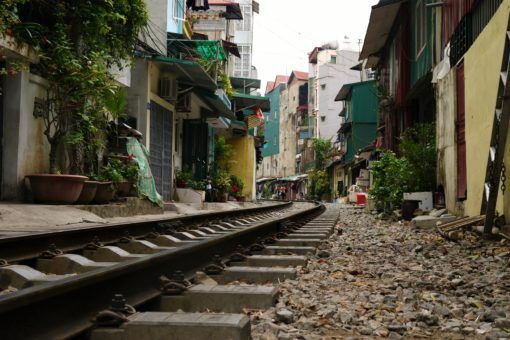 Except, instead of coming to see a monument or museum, we’re here to revisit our old home in Hanoi. 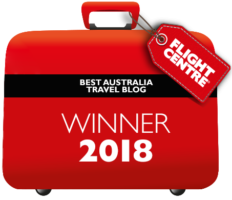 If you’re heading to Vietnam then you’ll probably need an invitation letter for your Visa On Arrival, we recommend Vietnam Visa as they provide a professional, efficient and transparent service. First, we have to pass down Tran Phu street, where the market is in full force. Mats and baskets of vegetables lay spread on the ground, hunks of meat sit naked on low wooden tables and women squat over buckets of still-writhing fish and jumping prawns, which they grab one at a time and brutally cut up with scissors. Across the road is the stall we used to buy our carrots, beans and broccoli from and there’s the mango woman who would slyly try to slip us the oldest fruit from the batch. Now we turn into our former courtyard, which sits opposite an army base. The guard dog, who I have trouble taking seriously because he wears a ratty kid’s cardigan, barks furiously at our intrusion. In place of our crumbling, rat-and-bat infested apartment block, a shiny new building stands as a stark reminder that it has been almost two years since we lived and worked in this city. 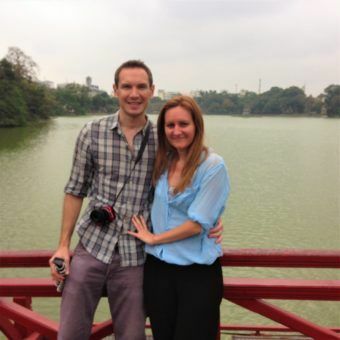 “I can’t believe we used to…” becomes our catchphrase on this return trip to Hanoi. 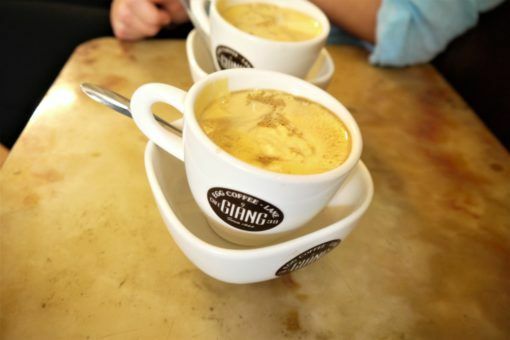 From our comfy home in Chiang Mai it was easy to recall Hanoi as a charming maze of noodle-soup smelling, tree-lined streets full of vendors in conical hats wheeling baskets of flowers and fruit. 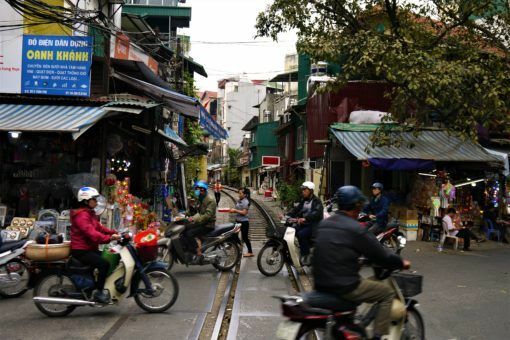 It’s only when we return that I remember how vividly intense Hanoi life is. Horn-blasts deafen me, pollution coats my skin and I have to concentrate hard on not being run over. It is unbelievable that this chaos was once our normality, that we used to navigate these streets by scooter without a second thought. 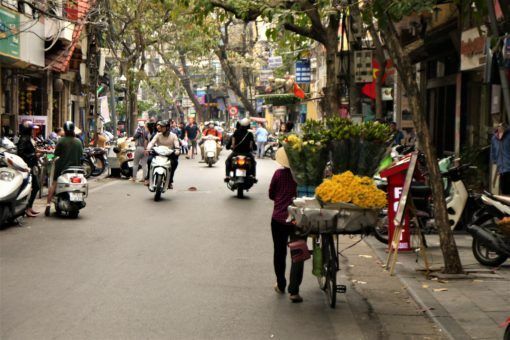 We’ve grown so accustomed to the quiet pace of life in Thailand with our luxurious apartment, yoga classes and veggie-friendly haunts, that Hanoi now feels raw and overwhelming. Yet, as always, there’s something about the city’s energy and no-nonsense character that charms me. 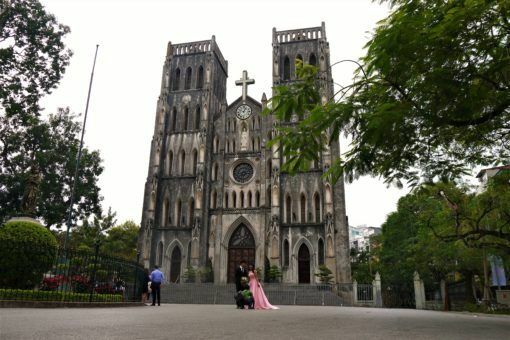 I love watching crowds gather for evening aerobics classes on Hoan Kiem Lake and couples pose in wedding outfits outside St Joseph’s Cathedral. Wandering the snaking back streets lined with pastel-coloured colonial buildings fascinates me. 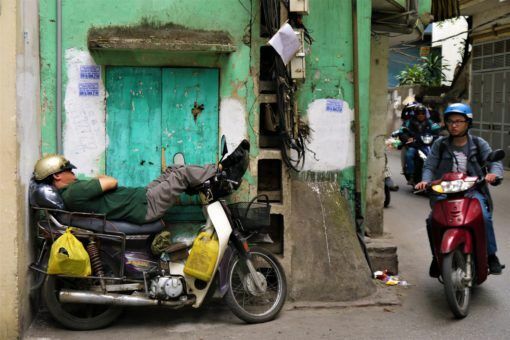 Men nap on their scooters, school children weave along on bicycles and roosters crow from wire-mesh coops. 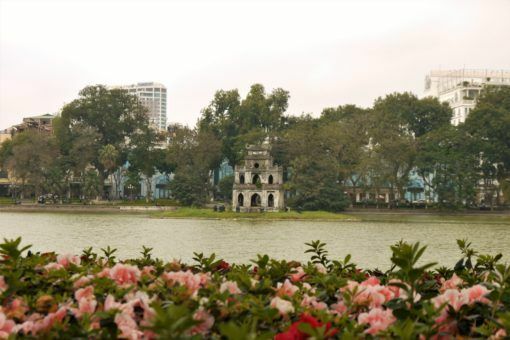 Hanoi’s history is laid bare in its tubular shops and ornate temples, French prisons and the remnants of a US B52 bomber which pokes out from a lake. 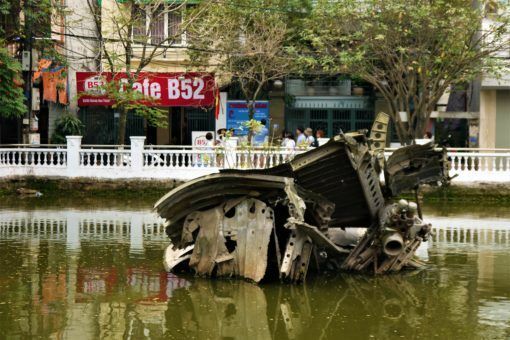 In entrepreneurial Vietnamese style, someone has opened ‘Cafe B52’ next to the wreckage. 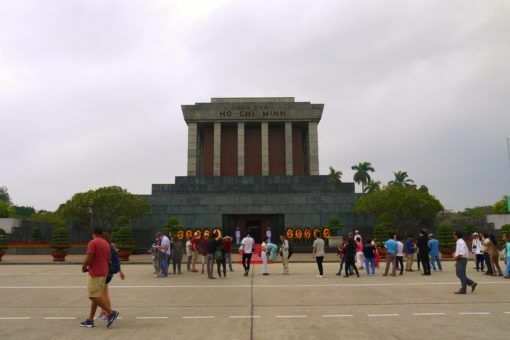 We take a taxi to the Ho Chi Minh Mausoleum and presidential palace, only realising half-way there that the meter is rigged. This is a common Hanoi scam but one that I was never caught by when I worked in the city and travelled regularly by taxi in my teaching clothes. 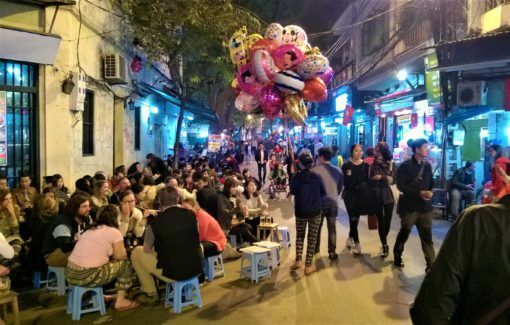 One evening, we meet up with some fellow travellers for a drink on Bia Hoi corner, perching on child-sized chairs on the pavement. Every so often, the sound of a police van approaches and the bar owners scramble to shift their stools off illegally-placed spots on the road. When I need to go to the toilet, the waitress pulls back a curtain and motions for me to squat over a drain where they do the washing up. Politely, I decline. Away from the Old Quarter we seek solace in the relative peace and quiet of Tay Ho, which literally means West Lake. 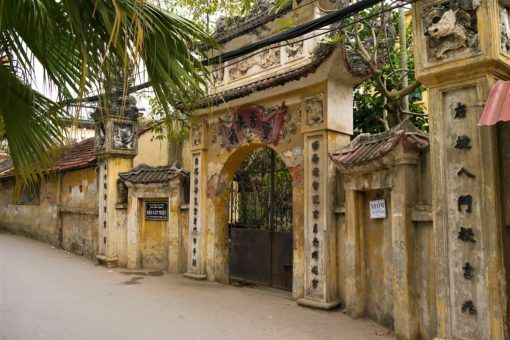 In Vietnamese, Tay is the colloquial term for westerners and expats, who aptly tend to gravitate towards the nicer apartments and slower pace of life in this area. We eat tacos at one of our favourite Hanoi restaurants, Salt n Lime, with Meaghan. 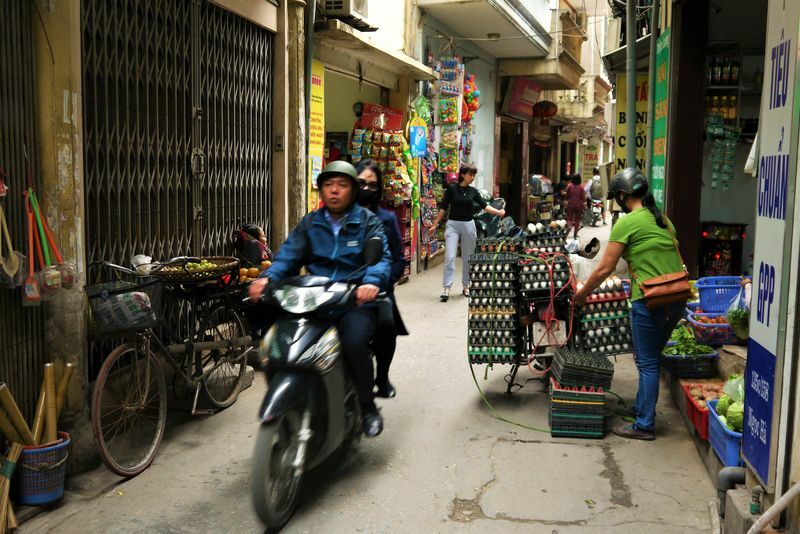 She tells us stories about teaching in Hanoi, a lifestyle that was once familiar to us but now sounds so alien to me. 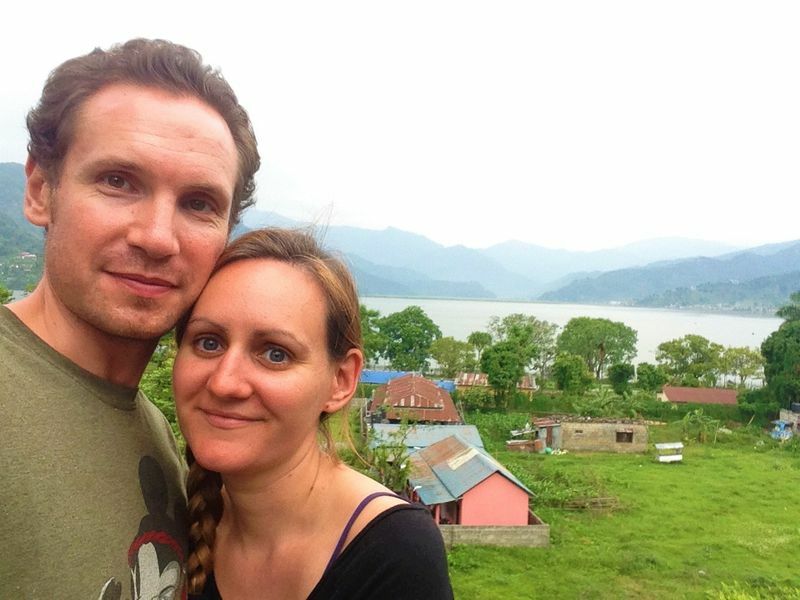 We also discuss digital nomad life in Hanoi with Graham and Charlie from Undiscovered Guide at Cube, a new board game café that overlooks the smaller, Truc Bach lake. 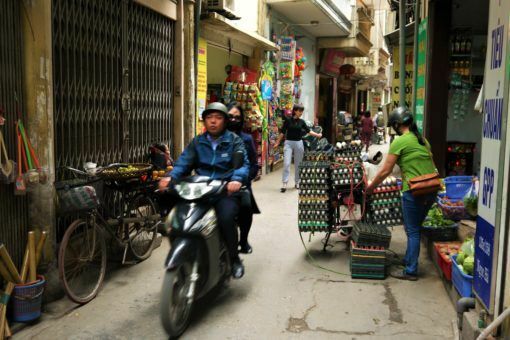 On our last morning, we leave our hotel just after dawn and are able to actually walk along the pavements in the Old Quarter before shop fronts spill over and they become cluttered with parked motorbikes and clusters of stools and tables. Even at this time of day though the city is waking fast, people are already slurping from steaming bowls of Pho, laying out their goods and wheeling fresh produce back from the market. 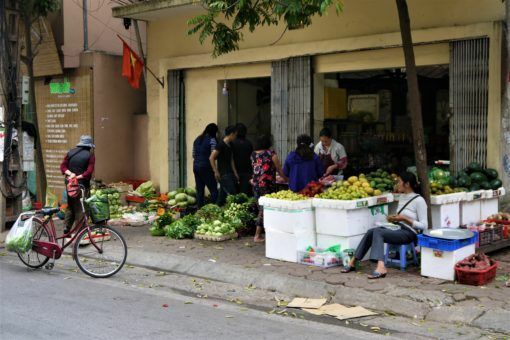 As Hanoi begins its familiar daily rituals, I’m reminded of just how much our lives have changed since we left this whirlwind city we once called home. Haha I love this – and I can totally imagine it being me a few years from now! We’re headed to Hanoi next month for the first time so I’m super excited to see the difference between the North and the South! Any particular recommendations of things we can’t miss and foods we must try?! Yep! I totally understand this! I went to Vietnam back in 2007 ( a whole lot of 10 years ago), and I can’t even imagine what it would be like now! However, I remember well, the child-sized chairs on the pavement, meeting other Europeans randomly. More like drinking with them. Ho! Ho! One night, “the bar” was someone’s kitchen / living room / bedroom! It was pretty strange but at 20c per bottle of beer, I can let that go lol! Wow! It’s been two years?! 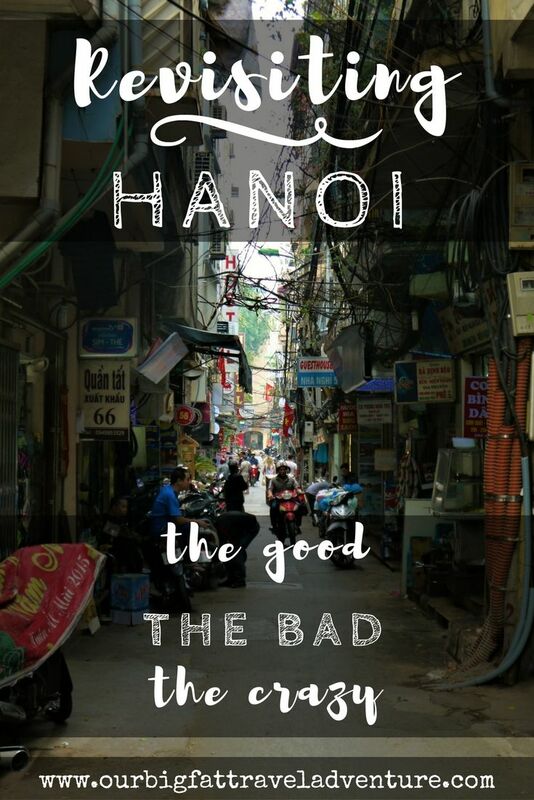 Thanks for sharing your memories, I know my personal comfort zone would be tested to the max with a trip to Hanoi so I don’t see it happening, but it does look like a very vibrant city. I know, I can’t believe it’s been two years either! I definitely think Chiang Mai/northern Thailand would be the place for you if you decided to come to Asia one day, much more relaxed and not so many crowds. 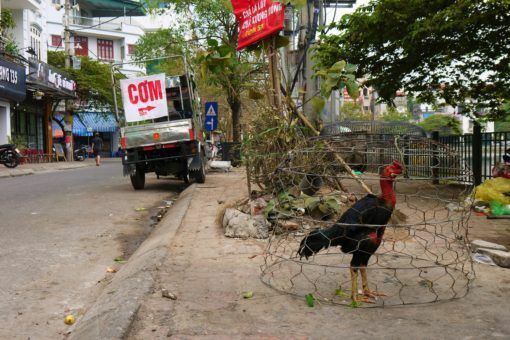 Yep, Hanoi is definitely a shock after northern Thailand!